CareER (Care in Education and Recruitment) held a highly successful first event for members. This marked its formal launch as an organisation developing a community to support higher education students/graduates with disabilities. The talent amongst the student body in the room was outstanding and although this was meant to be a discussion meeting only, the professionals who attended could not stop themselves from offering interviews and opportunities for employment to some of the students. A group of 18 enthusiastic and talented students from Hong Kong’s tertiary education institutions gathered with a handful of experienced professionals to share their thoughts and to discuss the challenges in seeking employment and how to overcome them. The professionals advised the students/graduates on a range of topics including what types of jobs to try for, how to get a foot in the door and how to use their disability to their advantage. Graduate member Mavis So told of her experience as an intern at law firm King & Wood Mallesons with such enthusiasm that her excitement was contagious. Mavis helped to generate such a positive attitude in the room that several students/graduates left with interviews or leads for employment opportunities, a fantastic benefit of being part of our network. The professionals were under no obligation to offer interviews or opportunities, indeed there was no expectation that they would, but they were so impressed by the talent in the room that they couldn’t help themselves. 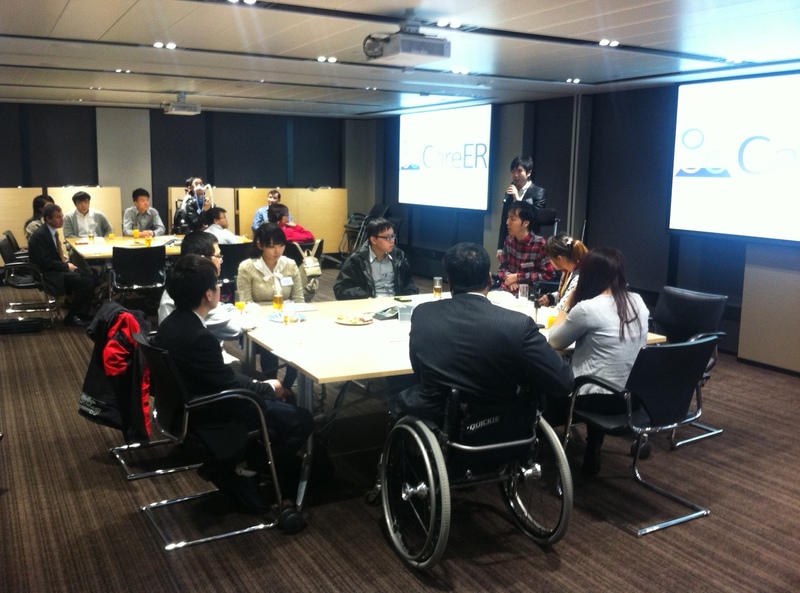 A huge thank you to King & Wood Mallesons for allowing us to use their accessible venue for the evening. CareER (Care in Education and Recruitment) (a support network for higher education students/graduates with disabilities which Louisa co-founded) has facilitated its first internship for hearing-impaired graduate member, Mavis So. Leading Hong Kong law firm King & Wood Mallesons has offered Mavis a four-month, part-time, paid internship with the Human Resources Department. Click into CareER (Care in Education and Recruitment) to see Mavis’s experience in her first few days at work. A recent graduate from City University of Hong Kong, Mavis had been struggling to find employment. This internship gives her office experience, enables her to earn a wage, hopefully boosts her confidence and at the same time allows her enough time to continue looking for a permanent step onto her career ladder of choice. Feedback from the company is positive so far, with Mavis exceeding expectations in terms of productivity and adaptability. Get in touch if your company can offer an internship for a student/graduate with a disability who may be finding it difficult to gain employment in Hong Kong. CareER (Care in Education and Recruitment) invited five outstanding individuals to it’s ‘Management Core’ team, all of whom accepted the challenge. They will advise on strategic direction and help to provide access to resources in the early days of the organisation. CareER is a network for higher education students and recent graduates with disabilities that is rapidly evolving into an NGO. Louisa founded it with partners Walter Tsui, a visually impaired graduate of the University of Hong Kong who is now a Human Resources executive at a construction company and Elvis Lau, a University of Hong Kong PhD and full time employee of the Hong Kong government. CareER supports students and recent graduates with disabilities and has a particular focus on helping them to find employment. Louisa facilitated a dialogue with around 25 students and recent graduates with disabilities regarding the challenges they face in finding employment and their ideas for solutions to make the job hunt easier. 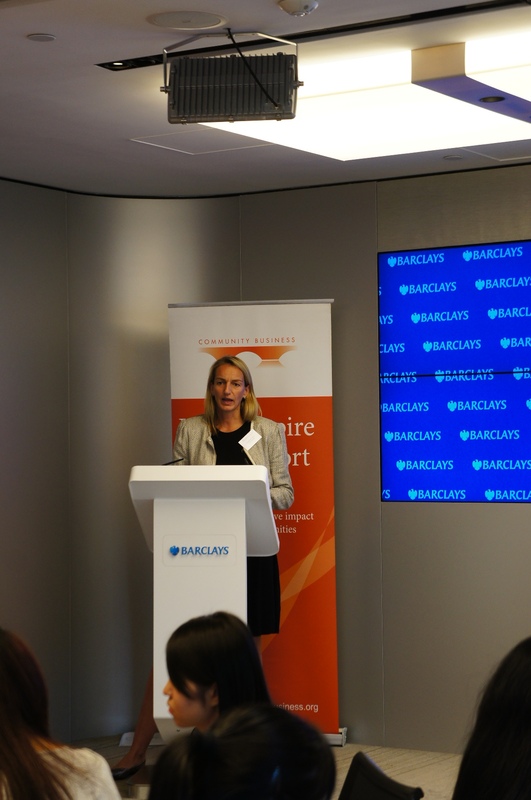 This was organised by NGO Community Business and was held at Barclays offices. It was part of the Community Business project entitled ‘Tapping a Pool of Disabled Talent’. This builds on the successful ‘Open To You’ inclusive recruitment event held earlier in 2013 and will feed an ongoing research project looking at the experience and perspectives of students with disabilities in Hong Kong as they select an employer. Louisa ran a group discussion in which the students offered their greatest challenges in searching for employment during and after graduation. Issues which emerged were concerns around how and when to disclose a disability, students’ lack of confidence and weak communication skills, poor dissemination of information by companies and limited comprehension of the type of adjustments (often small) that are required to enable a person with a disability to do their job. Students then broke out into small groups to brainstorm possible solutions to address these problems. Community Business will publish these in a report in December 2013. Money Magazine covers Google’s launch of Women Entrepreneurs Online and interviews Louisa on women entrepreneurs in Hong Kong. To watch the interview click here. South China Morning Post newspaper covers the launch of Google’s Women Entrepreneurs Online Programme and quotes Louisa on the challenges women entrepreneurs face in Hong Kong, including access to capital, modest ambition, hiring and retaining talent. Read the article here. Google, in partnership with The Entrepreneurs Club and General Assembly, launched the Hong Kong leg of Women Entrepreneurs Online (WEO) at co-working space Cocoon. It kicked off with a press conference and panel discussion on the challenges women entrepreneurs face when setting up in Hong Kong. Louisa participated in the panel discussion and can be seen helping to launch the programme here. There followed a three part training summit for SMEs including: “Getting Your Business Online”,“Marketing Your Business”, and “Legal Aspects to Doing Business Online”. 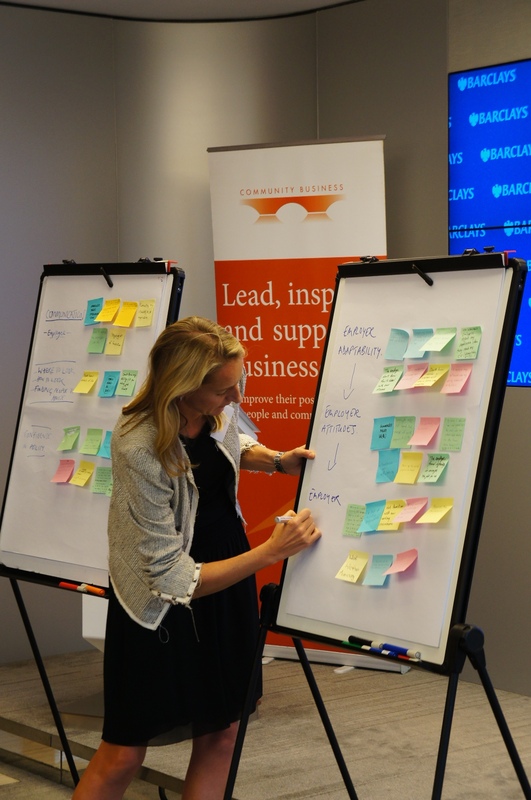 The group will host an additional five events in 2013 including two training workshops and three networking events featuring local small business leaders. The training workshops will revolve around how to use the Internet to grow and the networking events will allow women-owned SMEs to connect and help each other succeed as well as be inspired by successful local women entrepreneurs. SCMP Money Magazine in it’s Lean In Hong Kong Style edition, uses Louisa’s Changing Faces research to comment on gender inequality in earnings and occupational status in Hong Kong today. Read the article here. Topic: Highlights of research into the social and economic conditions confronting confronting women in Hong Kong today and over the last two decades. Read the publication The Changing Faces of Hong Kong, A Cohort Analysis of Women, 1991-2011. South China Morning Post newspaper has published more articles using analysis from The Changing Faces of Hong Kong publication. Click into ‘Women’s work is not yet done‘ and ‘Elderly women turning to crime‘, both published on 8th March 2013. See early media coverage on The Changing Faces of Hong Kong in the South China Morning Post. Click into ‘Make Hong Kong more family-friendly says women’s survey‘ published on 23rd February 2013 and into ‘Census censors‘ comment on 26th February 2013. Chinese media coverage includes 長者生活艱苦犯罪飆升 in Ta Kung Pao and 思匯籲撤功能組別 in Apple Daily on 23rd February 2013. Community Business, a Hong Kong NGO, is partnering with Hong Kong’s top universities and leading companies such as Standard Chartered Bank, China Light and Power, JP Morgan and Towngas, to deliver its first inclusive recruitment event for students with disabilities. It is designed to build students’ confidence in applying for a job in the corporate sector. 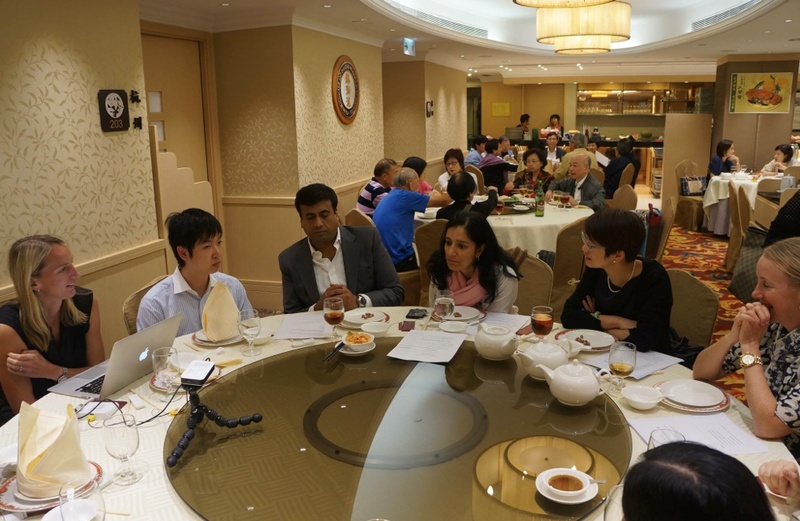 The event is on Monday 25th March, 2013, at Standard Chartered Bank in Central, Hong Kong, students apply here before 8th March 2013.